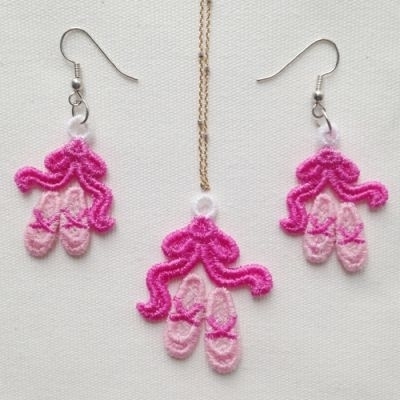 These beautiful freestanding lace designs are great to use for earrings, pendant and more. Stitch on water-soluble stabilizer. Fits the 4x4 hoop. Both earrings and pendant are stitched together in one hooping. Finish Size 2.41" x 3.24"
This design is also available in a larger set. Just click on the "FSL Earrings and Pendant Set, 10 Designs - 4x4" link above in the "You might also like" section for more information.